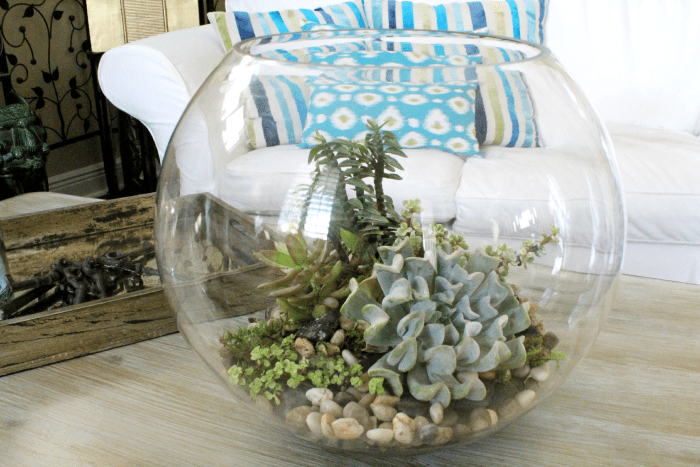 Have you ever wanted to add a terrarium to your home decor? These awesome DIY terrarium ideas will help you get started. If you have ever wondered how to make a homemade terrarium, today’s post is for you! They’re pretty easy to make with a lot of materials you probably already have on hand. DIY terrarium costs are also pretty low, making them great for inexpensive handmade gifts and inexpensive home decor. There are also a ton of different types of terrariums to make to match your style. I’ve compiled a list of 11 awesome DIY terrarium ideas to up your home decor to the next level! Get all the supplies you need to make your DIY terrarium ideas a reality with this shopping guide. I love how simple this open jar terrarium is. 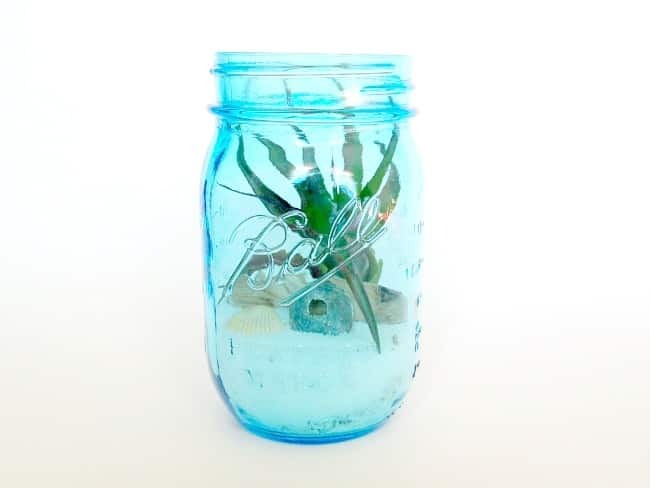 If you collect items from the beach, then this DIY terrarium costs you very little as well. Need some air plants to get you started? Head over to Amazon to get some in 2 days or less! This super fun DIY terrarium idea uses embroidery hoops and succulent plants. It’s perfect for year-round home decor. This DIY cactus terrarium idea is really easy with just a few materials. If you don’t have a spare cactus lying around then Amazon has you covered! This is one of my favorite homemade terrarium ideas. It utilizes a lantern and some faux succulents. Looking for a modern themed terrarium to spruce up you home? Check out this selection using air plants and minimalist terrarium supplies. I wanted to know how to make a terrarium in a plastic bottle, thinking it was a great way to upcycle a household item. Instead I found out how to make plants out of plastic bottles. Genius! Looking for some great non-plant terrarium ideas? This butterfly terrarium is a fun way to add a touch of spring into your home decor. This fish bowl terrarium is another great use of items most people have around the house. This mason jar terrarium can serve as an open or closed jar terrarium. This one uses vintage mason jars for that antique feel, but you could easily use more modern ones with the same terrarium supplies. Not all DIY terrarium ideas have to be for in the home! These hanging terrariums are perfect for your front porch or deck. This fun DIY terrarium idea may be the most involved, but it is definitely my favorite one. This terrarium involves making your own geometric dome. Awesome! 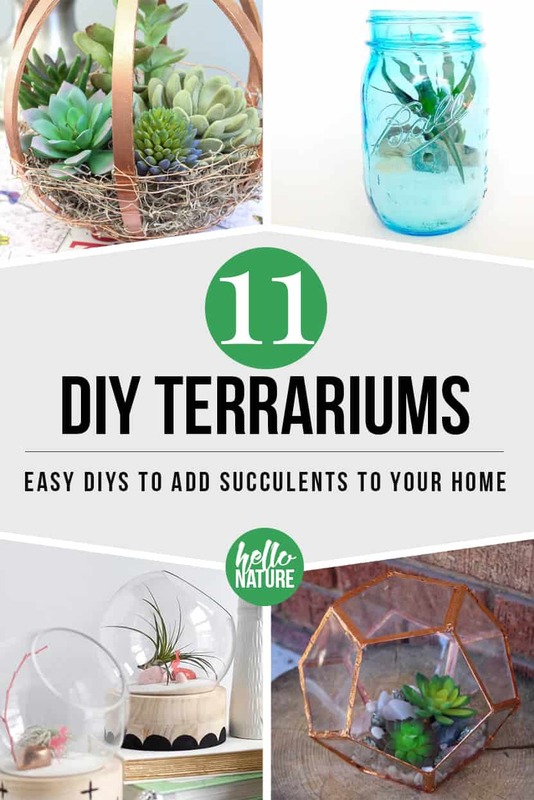 I hope these awesome DIY terrarium ideas have inspired you to make your own homemade terrarium. What are your favorite DIY terrarium ideas? 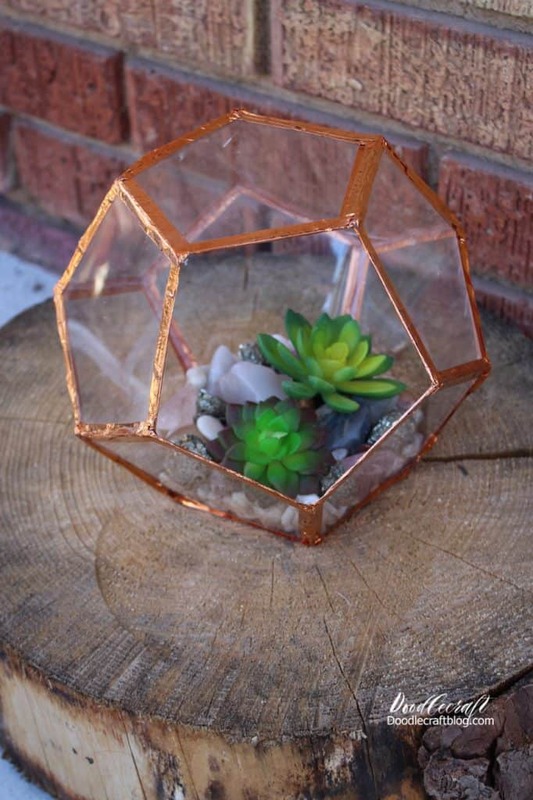 Want to remember these DIY terrarium ideas? Post these fun terrarium tutorials to your favorite Pinterest board! A lovely round up of terrariums. I have quite a few in my house, all different. Thank you for including my upcycled bottle terrarium.